In operation since 1941, yes that is over 75 years! 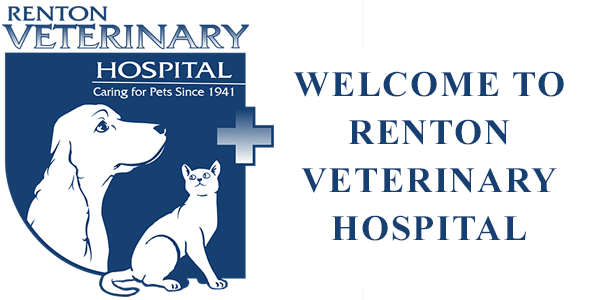 We provide pets and pet owners with finest veterinary care. We have clients whose parents and grandparents were also clients here. We have been active in the community, work in partnership with local shelters and rescue organizations. 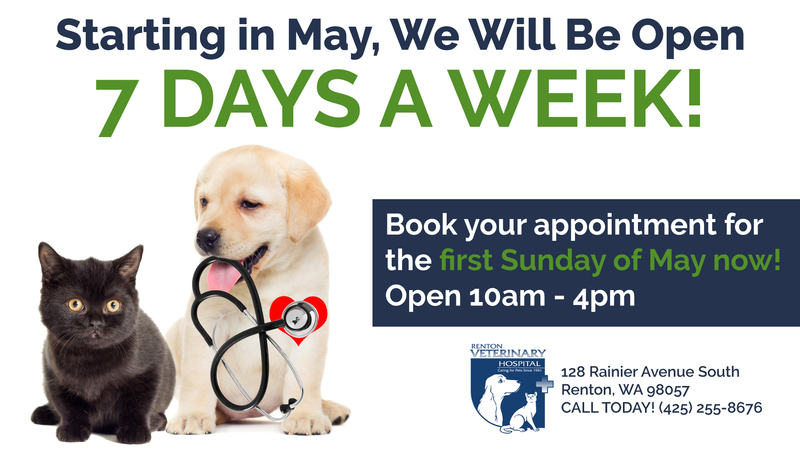 Our veterinary hospital in Renton features state-of-the-art technology, updated treatment areas, an in-house laboratory, and much more so that your pet receives the best veterinary care available. We keep your pet and you at the center of all that we do! Thanks Renton Veterinarian Hospital for their kindness and support during Sookies Dental Surgery. I have been going here for over 14 years. It’s a warm and welcoming place. I take my (fancy) rats here, they are always in excellent care. I’ve experienced tumor/mass removals and pneumonia treatment. The staff are always so kind, patient and go the extra mile. When they passed away they sent me personalized cards. Now I take my kitty here and continue to experience nothing but great care. Boarding is reasonably priced and I never have to worry. 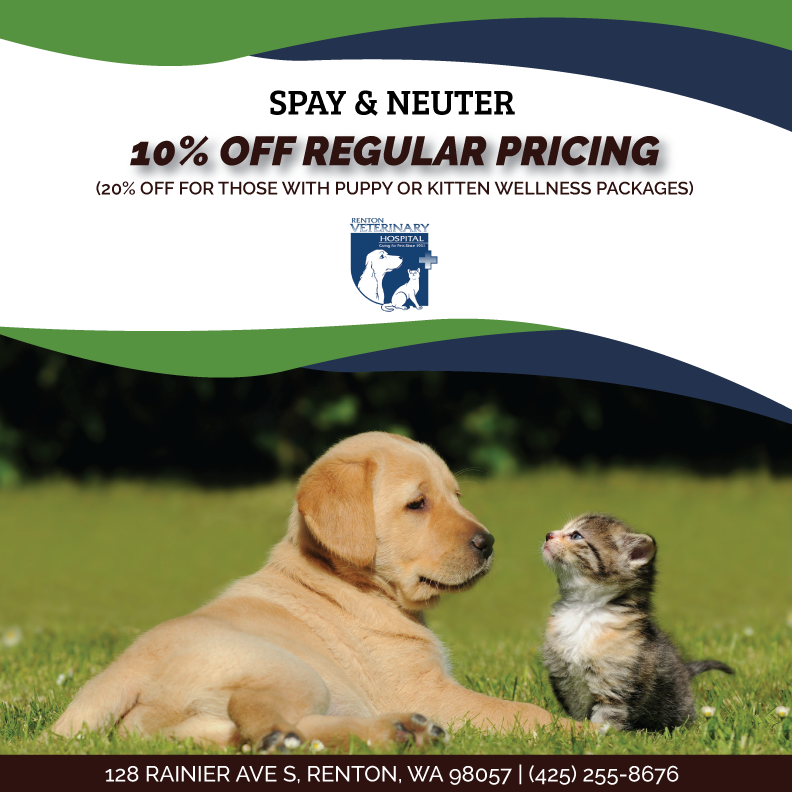 We are new to the Renton Veterinary Hospital and have been going there since just before it was purchased by Dr. Singh recently. Our 10 year old beagle had a huge growth on his liver which needed to be removed. It was recommended to us to talk to Dr. Singh. He was so wonderful to us and our dog Max and explained all the pros and cons associated with this delicate surgery. He said that he would bring in a board certified surgeon to the Renton Veterinary Hospital to do this surgery if we chose to do it. To sum this up, we had the surgery done and all was very successful! Dr. Singh oversaw everything before and after the surgery giving us unlimited access to him during the crucial hours and days afterward. Dr. Singh's attention to detail before and especially the two days afterwards were exceptional. He and his staff were really wonderful! His prices are also a lot more reasonable compared to other hospitals and clinics. We are so happy to have found Dr. Singh and will trust our precious dog and any future pets to his care in the future. We saw Dr. Singh (I hope that is right), him and his staff are so excellent. This was the second vet I had been to in a day for the same reason, they were very quick, knowledgeable and addressed everything at once. Definitely recommend to everyone and will continue this. Dental seems expensive but that is ok. Complimentary coffee and candy, they really know their way to a girls heart. I just suggest playing music as the quietness is pretty awkward. "Teddy" thoroughly enjoys the friendly knowledgeable staff!